LATAM is a recent merger between two of South America’s largest airlines- LAN Chile and TAM (Brazil). LATAM’s network throughout Latin America is unparalleled and as a result the new merger is attracting more leisure and business travellers who need the convenience of an extensive network within Latin America. 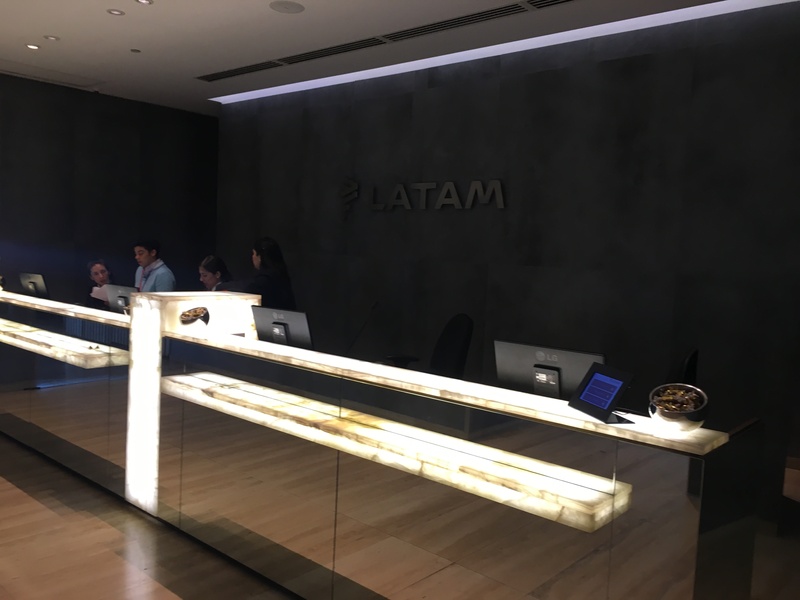 Recently LATAM opened its new flagship business lounge in Santiago Airport (otherwise known as Comodoro Arturo Merino Benítez International Airport ). The new mega lounge replaced three smaller LAN lounges within the terminal and is unarguably a leap forward business lounge standards for Latin America. The lounge’s first feature is it’s priority boarding area, with its own security screening and customs processing point. This makes the checking process very simple, although unfortunately the priority checking is on an upper floor away from the main check-in so it can be a bit of a journey to get your luggage there in the first place. Once you have cleared security and customs you immediately enter the lounge reception area. Passing reception you can proceed directly to the first floor or take a lift to the second floor. The first floor probably has the best selection of food and is a simple buffet/ lounge area more suited to people who may only be stopping in the lounge for a short period of time. 1) Two buffet/ dining areas. 4) Kids lounge/ computer game areas. The sleeping area is certainly useful for those with a long layover although be aware the room only has four beds and there is almost no privacy so do use at your own risk! The showers area also very handy but you need to ask for a show when you arrive a reception as you can’t just enter at any time. The buffet food generally consists of sandwiches, nibbles and some heated items (normally empanadas and the like). The fridges are well stocked with non-alcoholic and alcoholic drinks alike. 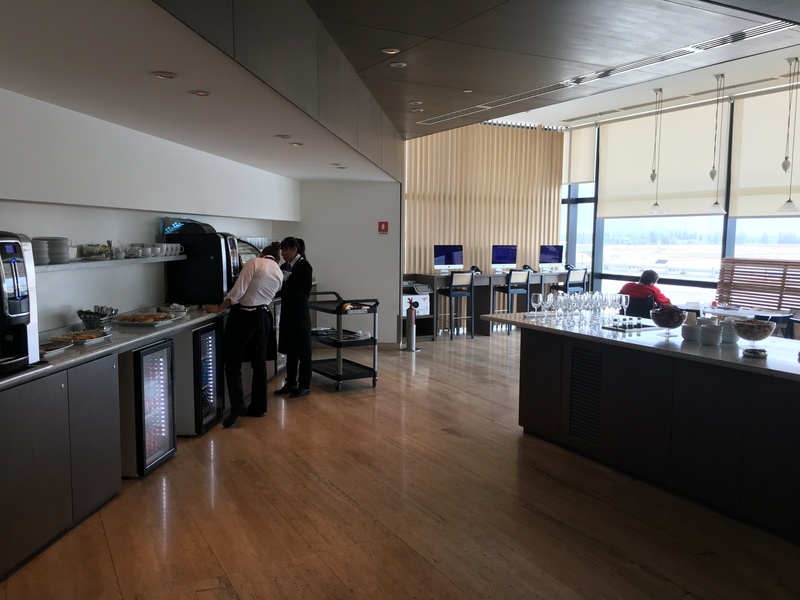 Compared to other nearby hubs such as Lima, Buenos Aires and Sao Paulo this is by far the best lounge and sets a new standard for airports in the region. Buy your lounge pass here. We offer unforgettable trips to the heart of Chile. Scour our range of fantastic tours and let us take you to South America. Contact us for more information. This popular 14-day journey offers you an insight into the sophistication and culture of Argentina, Chile and Brazil.